Two great and so-called unfinished works by master musicians ended the spring season of the KZN Philharmonic Orchestra before a big audience in the Durban City Hall. Schubert’s Symphony No. 8 in B minor, written in 1823, has only two movements. For unknown reasons the composer shelved it, hence, hence its nickname, the Unfinished Symphony. It is something of a misnomer. For most listeners the symphony stands as a complete masterpiece, finished or not, a starting point of the romantic era in music. Similarly Mozart’s Requiem in D minor, the composer’s last work before his death in 1791, had to be finished by one of his pupils, Franz Sussmayr, working from brief notes and references left by Mozart. The result is Mozart all right, a 50-minute religious work of compelling power and majesty. The KZNPO were in splendid form in this final concert of the year. With the visiting German conductor Justus Franz on the podium, the players excelled in the Schubert symphony, bringing out all the grandeur and subtleties of the music. In the Mozart Requiem the orchestra was joined by a choir of about a hundred singers and four vocal soloists, all of them with KZN connections: Zenneth Cibane (soprano), Nonkululeko Nkwinti (mezzo-soprano), Lionel Mkhwanazi (tenor) and Thuso Gumede (baritone). The choristers came from the Clermont Community Choir, established in 1992, and the Durban Symphonic Choir, who celebrate their 50th anniversary this year. The soloists were all first-rate, but it was the choir singers who were the stars of the evening, delivering Mozart’s wonderful music with great strength and discipline. 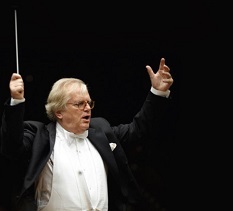 Much of the credit must go to Justus Franz, who conducted with vigour and passion. He drew a fine response from choir and orchestra and achieved a good balance between the two.